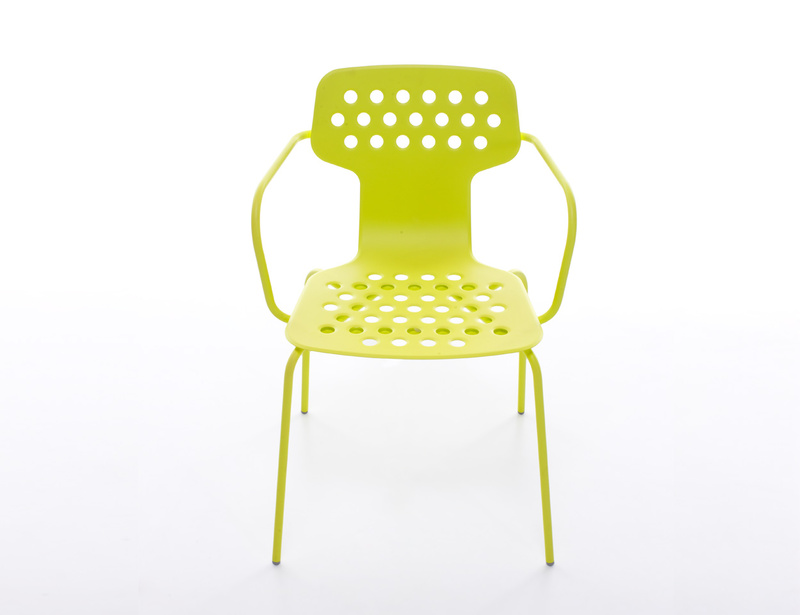 The functional nature and clean lines characterize Open, a system of tables and chairs suitable for outdoor use. 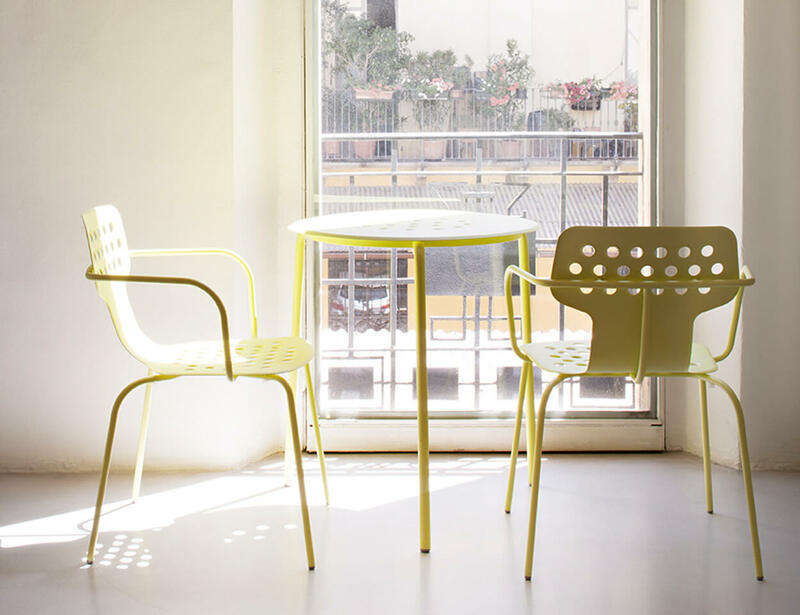 A strong, resistant material defined with soft lines and curves which enrich the profile of the chairs: practical, stackable and ideal for gardens or public areas. The round tables are made from fine sheet steel with a practical and decorative pierced surface.